A quest to see all the British butterflies in one calendar year! ALL of the British Butterflies in one year...are we mad??? Please note that this website ended on 31st December 2010. And don't forget to Bookmark the site and tell all of your friends about it! Hi there, welcome to Seth and Sami's butterfly adventure 2010 !!! This site details our attempt to see and photograph ALL of the butterflies native to mainland Britain in one calendar year. We decided not to visit Ireland for a number of reasons - the only new species available is Real's Wood White (edit - now known to be a different species entirely - the Cryptic Wood White), there are too many extra forms to track down, it's an expensive diversion to do properly, the Guinness is too darn addictive and Sam has a thing for the softly spoken Irish lilt and would probably never ever leave again. In a nutshell, we're going to be touring much of England and Scotland with jaunts into Wales and Scilly too. Neither of us has ever tried such a feat before and we both 'need' quite a few species for our lifelists too. So, a couple of foolhardy amateurs? Perhaps. Will it be easy? Doubtful. Will we give it a damn good run anyway? You know it!!! 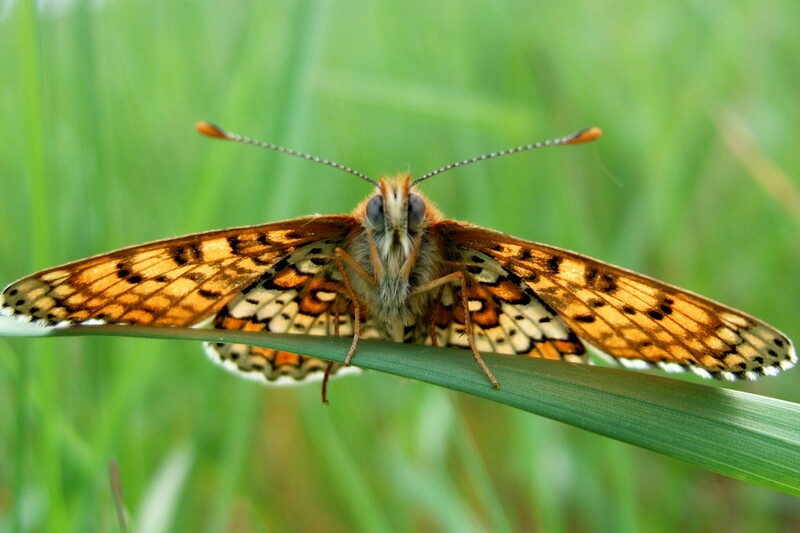 Our aim to completely 'clear-up' on the native butterflies will require a hefty degree of planning and discipline, neither of which we are very well acquainted with. To make matters even more complicated we have decided to try for all the races and forms too. For instance, we will look out for hutchinsoni Comma and valesina Silver-washed Fritillary, all three races of Large Heath and both the English and Scottish forms of Northern Brown Argus to name but a few. Even the humble Meadow Brown has several subspecies from Ardnamurchan to Scilly. As if that wasn't tricky enough in itself, we then decided it would be nice to photograph every race and form we encountered. And whilst we're at it, we may as well photograph both sexes where the differences can be seen. Plus maybe a few abberations too? (Seth's particularly keen to get up close and personal with a lanceolata Ringlet!) In fact, why not go the whole hog and see if we can find and photograph as many eggs, larvae and pupae as possible too? Doubtless we will stumble across a great many other insects whilst on our quest. We therefore plan to see and photograph as many dragonflies, damselflies, grasshoppers, bush-crickets and ladybirds as we can. Plus plenty of location and scenery pics and anything else we deem relevent or amusing. Next summer we are concentrating on the missed Scottish subspecies and Mountain Ringlets plus we've planned three trips across to Ireland for Cryptic Wood White and the twelve endemic subspecies/forms to be found there. Click here for Seth's daily diary. Click here for Sami's write-ups.